Start by either clicking on the tax-exempt link on the Checkout Page, or going to your “My Account” page. 2. Verify purchaser information, and click “Save and Continue”. 3. 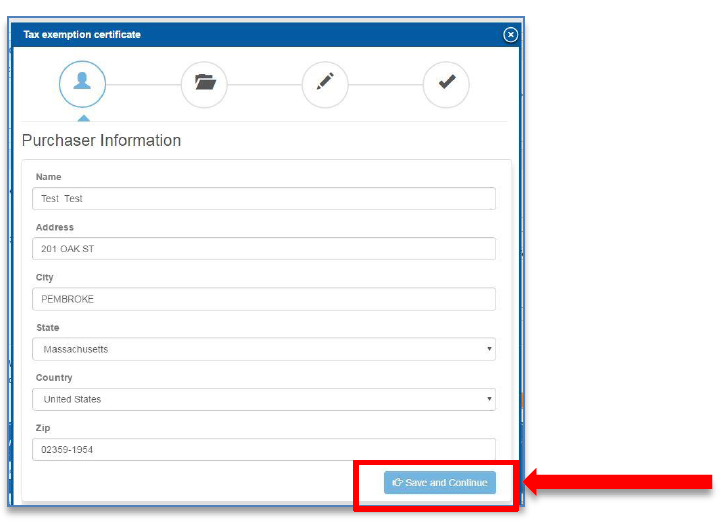 You can choose to answer simple question about your exemption status in the popup form, or upload a PDF of your tax exempt certificate. You are also able to create a blanket and single order certificates. 4. *Note: if the popup form is used, you will be informed, within seconds, that your certificate has been loaded and verified. Tax will immediately be removed from your order. If you upload a PDF, there will be a delay as the Wagner Accounting department must verify the upload, tax will be removed once that is completed. Tax is NOT immediately removed from the online order. 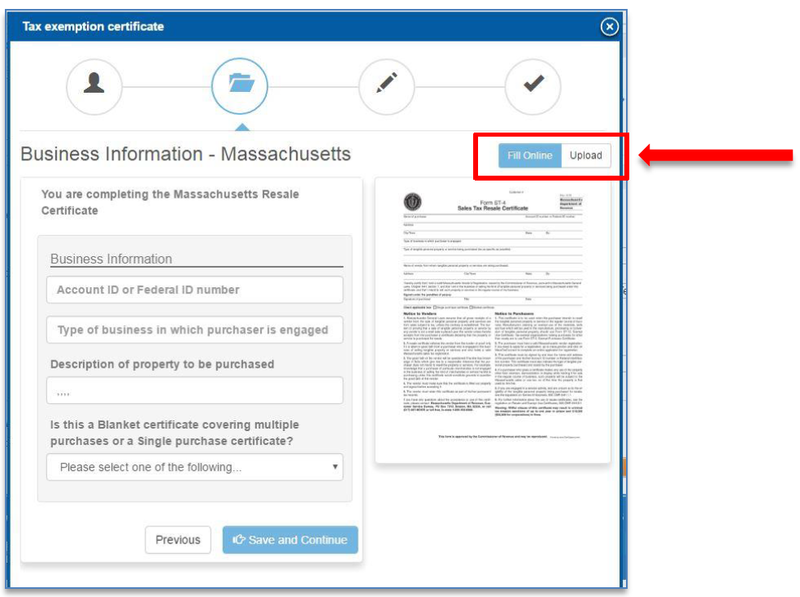 Popup Form: If the popup form is used, you will be informed, within seconds, that your certificate has been loaded and verified. Tax will immediately be removed from your order. PDF: If you upload a PDF, there will be a slight delay as the Wagner Accounting department must first verify the upload. Tax will be removed once that is completed, and will not appear immediately in the online order.